System Center Virtual Machine Manager 2008 (VMM) is a comprehensive virtual management solution optimized for Windows Server 2008, Microsoft Virtual Server, and VMware infrastructures. I have tested added several host running on Hyper V, Hyper V R2, Windows Server 2008 Hyper V and Windows Server 2008 Hyper V R2. For clustering host- Use Add host and select a host, the SCVMM will automatically add all other cluster host. SCVMM will connect to the host and install the agent. -use the same method as above. 1. 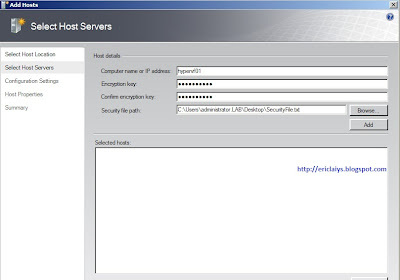 Install Local Agent in the host. 2. 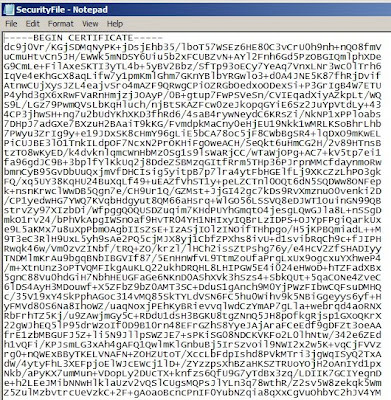 Create a security file during the Local Agent installation. Note: You need to select either computer name or Ip address. The agent is not responding on the perimeter network machine because either the agent is not installed or is not accessible from Virtual Machnine Manager Server"
6. After finish adding, you must Delete the security file due to security reason. Note: If the status of the host indicated "Need Attention" in the status after adding the host, you need to download and apply update KB956589 and KB956774. Install Hyper V roles in virtual image.